There is a need for the Divine Feminine and Masculine to start working in unison, while at the same time being allowed to flow individually and strongly on their own. Channeled by Genoveva Coyle. Greetings my dearest sons and daughters! I AM Yahweh, I AM your Father! I don’t come often to speak to thee, but when I come it just means that you are in need of My strength and reassurance, it means that you need to find a new and higher balance within yourselves. You are just in need of the Father’s embrace and loving support! My dearest children, most of you here are the Mother’s messengers of love, you are Her missionary team; you are the ones to anchor back on planet Earth the real and true Divine Feminine, Her beautiful, nurturing, all-inclusive loving essence, and at the same time to soften and beautify the Divine Masculine within and without yourselves. That doesn’t mean that the power contained within both Divine qualities has to be lost or altered, but it needs to be balanced and understood for what it really is through its purity of expression. There is also a need for the Divine Feminine and Masculine to start working in unison, while at the same time being allowed to flow individually and strongly on their own. Most of you are working incessantly on this process, regardless of the engendered physical form you have decided to embody with at this time. 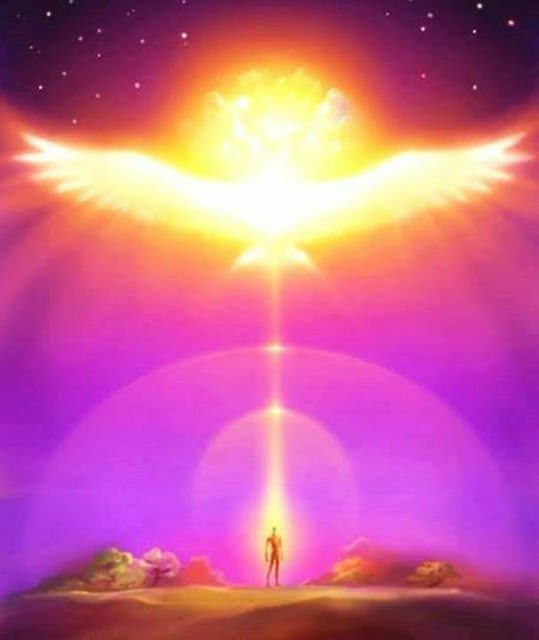 Most of you here, the ones listening to this message, are very much set on this mission of unleashing the Divine Feminine in her pure and expanded form that has not been seen on planet Earth for many, many eons. There is a reason for this, and it is because, during this chaos of dismantlement and destruction of the old paradigm of control and enslavement of the human spirit, there is need for Her kindness, compassion, and tender Love. People have been deeply hurt in this or in previous lifetimes, and carry so much bitterness and suffering that needs to be tended, soothed, and completely healed. And the Mother can and will come through each and every one of you and do just that, because a mother just knows what to do, to feed, to caress, to touch, and to heal any tender wound in her child. A loving woman or man, it matters not which, because at heart level they both embody that sensitive mother who feels with her entire being the pain of her own children, and of others as well, and those children’s ages matter not to her because she will spot the hurt inner child in every human soul, young and old as well! But dearest hearts, that doesn’t mean that there are times when you cannot stand up and say “No” to others! You do need to have the wisdom and the strength of the Masculine self, that recognizes the signs of imbalance, and sees that here in a human form there are times when you need to rest and initiate self-restoration. It is extremely difficult for you to take the time to do this, and so many times I see you overextending yourselves and agreeing to others’ requests in order to please them, or at least not refusing them or having them feel rejected so that further pain is not created for them. You see, you are not willing to consciously hurt others, and this is your set default since your inception, and it will never change. This is not your fault, but you have quite a problem allowing yourselves and others to see you as being human and vulnerable unless you are completely wiped out and exhausted. And do you want to know why? Do you want to know why you aren’t allowing your Masculine self to set proper, respectful, and essential boundaries, even when you see them crossed and literally abused by others? The simple truth and explanation is coming from your misunderstanding of the “free will” concept! And what do I mean by this? When the third-dimensional reality was created, you joyfully came here to be in form, to play as angels in physical form, and to pretend that you were separated from Me and the Mother/One. We had set some boundaries between your sweet selves and other similar bountiful angels like yourselves, and you went gleefully, and very excitedly to experience this tough, different, and dense, though quite pristine, original 3D world. You had a great surprise on finding that you had to choose which way to act and think and to realize that there is such a delayed creative process. This was so different from what you knew and worked with at home. But what shocked you the most was the negative spectrum of the life in duality and the forgetfulness of those who had chosen to immerse themselves and be the expressions of unloving ways. Initially, you were able to remember the game of life in the third reality and to allow the free will of others, but soon you slipped into amnesia and were not able to shift inter-dimensionally, to raise your frequency at will, and therefore to see the entire truth. And so you started to make mistakes, and not in the sense of sins, but in the sense of not respecting the free will of the third-dimensional realities. You have always been true to your mission and purpose, to your promise to Mother, to be love and only pure light! You wanted harmonious living and lots of love to be sent to all, without any discrimination. You are empaths, and yet, at the same time, you have such keen sense of justice and fairness! When you could, you had intervened and “rescued” many, removing them from their lessons and planned learning missions, more so in the beginning when you had descended with a lot of given power and strength – what comes to mind are the lifetimes in Lemuria and Atlantis. But that was not what you were here to do, hence karma and other more negative experiences that you had to take on as a consequence, became attached to thee. Consequently, there is still much guilt that you are carrying, and this is why you are still working currently on setting boundaries and learning to say “No” to others, especially to close and loved family members. They are here to assist you to look deeper within yourselves, and to let go of this need to sacrifice yourselves, to stretch yourselves unhealthily to accommodate others, and thereby prove your love for them and for all. So many times you are afraid even to look and search within yourselves for answers, for you are worried that you must have committed horrendous crimes that you now need to pay for. And yet, I am telling you that your “mistake” was to love too much, to intervene and work on behalf of the less fortunate others, even when you were not being asked to help. Or if you were asked to assist, you were unable to remember that they had chosen this particular path to learn the lessons they had chosen, and they were not meant to quit halfway, and then ask others in form – you – to take over their burdens. I am asking you today to give me this very heavy energy – the heaviest and lowest of all – guilt! Let go of it now, and for good, for there is nothing else you need to do to prove that you are love! Neither to Me nor to any other! You are love! Let it shine, and listen to your bright and beautiful hearts, always! 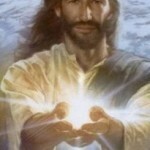 I will leave you with My golden strength and the power of Love of the Father and the One! Farewell!